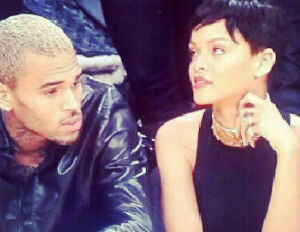 If you thought they weren’t together or friends anymore, today changed the minds of many on Rihanna and Chris Brown. Both star singers showed up at today’s Lakers vs Knicks game sitting courtside near the New York Knicks bench. Does this mean the couple is back together or are they just friends? No one knows, but they sure are hinting towards more public appearances in the new year with this appearance ending 2012. What are your thoughts on these two being acquaintances?